PEPLUM TV: PEPLUM Cliché : Unrequited love! One of the biggest clichés of the PEPLUM genre is not a muscular hero heaving boulders or bending metal but that of unrequited love. I'd say nearly all films of the PEPLUM genre has this cliché or some variation of it. Since the lead is most often male, the one doing the pinning is a woman. But there are many stories were the lonely Queen is being wooed by a man who wants nothing but be her husband (and ascend to power!). Here's just a small sample of titles with this cliché. The movie's entire story is based on the unrequited love Sinuhe has for Nefer, who leads him to spiritual and financial disaster. Purdom also starred in THE PRODIGAL (1955), another story of a man abandoning everything for a woman. In one of the most intense and sometimes bizarre 'love' story, the human side of the often evil Astra shines through with her adoration for Goliath. Almost all of Kirk's films has a woman pinning for him while he remains aloof and distant. Mitchell's character is after the Queen, who keeps her distance. 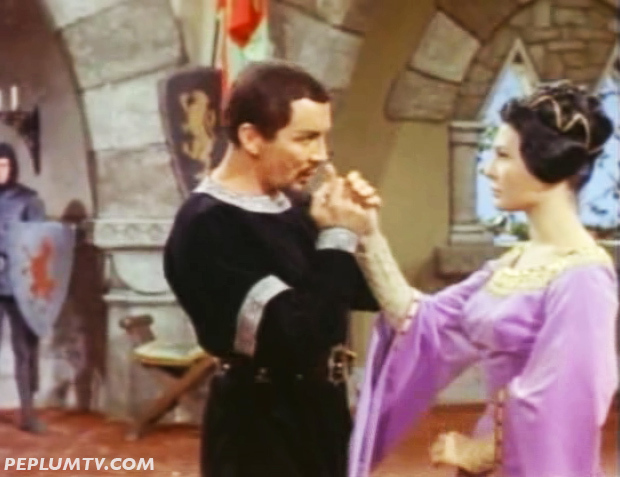 The Queen wants Maciste and though he briefly enjoys her company, they never live together happily ever after. "Oh Moses, Moses!" 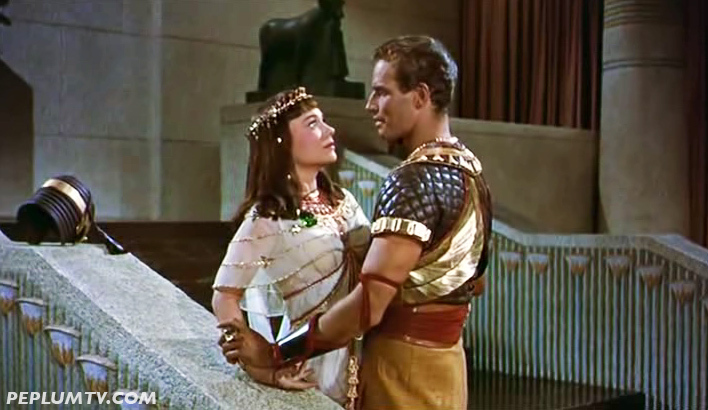 says Nefretiri as she longs for Moses' love but he wants nothing to do with her. Classic example of this popular cliché. Very good compilation indeed. However, I recommend you add SLAVE OF CARTHAGE to the listing. In this film Gianna Maria Canale's unrequited love for Jorge Mistral leads to her horrific cruelty towards her Christian slavegirl. I should also have recommended SINS OF ROME because of Gianna's unrequited love for Massimo Girotti. At that point in the story, Moses did want Nefretiri.